PROTON - Automobile technology that's the pride and symbol of Malaysian innovation and dedication. 1985 marked a momentous year in Malaysia's history when the country's first national car, the Proton Saga, rolled out for the masses. PROTON is more than just a car company as its inception as a key driver of national development has seen the brand accelerate its learning curve through technology transfer with strategic partnerships and technical collaborations. 1. Executive Programmer (.Net) - Proton Parts Centre Sdn. Bhd. 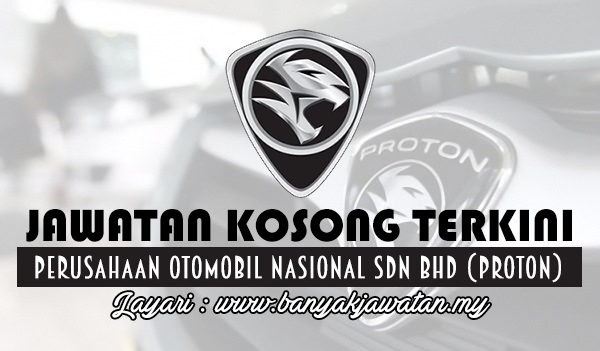 0 Response to "Jawatan Kosong di Perusahaan Otomobil Nasional Sdn Bhd (PROTON) - 8 April 2017"